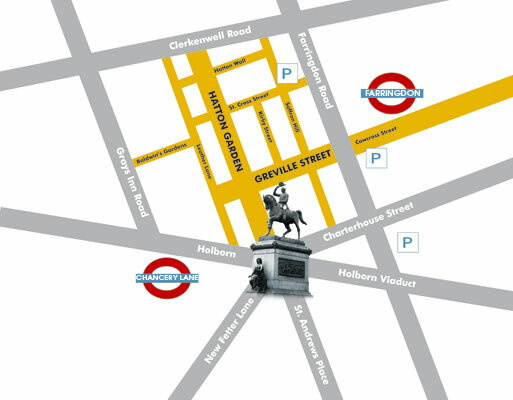 Parking: NCP carparks at Cowcross Street, Saffron Hill and Smithfield Market. Congestion charge does not apply at the weekend or on Bank Holidays. This site is run by Judy Head of Head Creative Associates and Paul Weaver of Photizm for the benefit of the people who visit Hatton Garden and are interested in purchasing, commissioning or just learning more about fine jewellery.